Please aim to come to Bangkok by early Friday morning. For those who cannot make it for the whole trip, you are free to join us midway. We will NOT be booking hotels and flights for participants. You are strongly encouraged to book hotels close to Asoke BTS Station around Terminal 21 for ease of travel. We will be collecting a registration fee of THB 1000 for transport. Most of these will be used for Rabbit and MRT card fares. Unused monies will be returned to you at the end of the trip. For logistic ease, even if you already have a Rabbit and MRT card we will still get them for you and the THB 1000 still applies. We DO NOT want to cater for buses as we want participants of the tour to understand the rail network and the proximity of the various developments to the various train stations. There will be quite a fair bit of travelling on foot and probably standing on the trains. That being said, most of the developments are very close to the train stations. Please bring along approximately THB 10,000 for food and miscellaneous cost. Participants from anywhere around the world are welcomed to join this tour! The property presentations will be done in English, Mandarin and Cantonese. 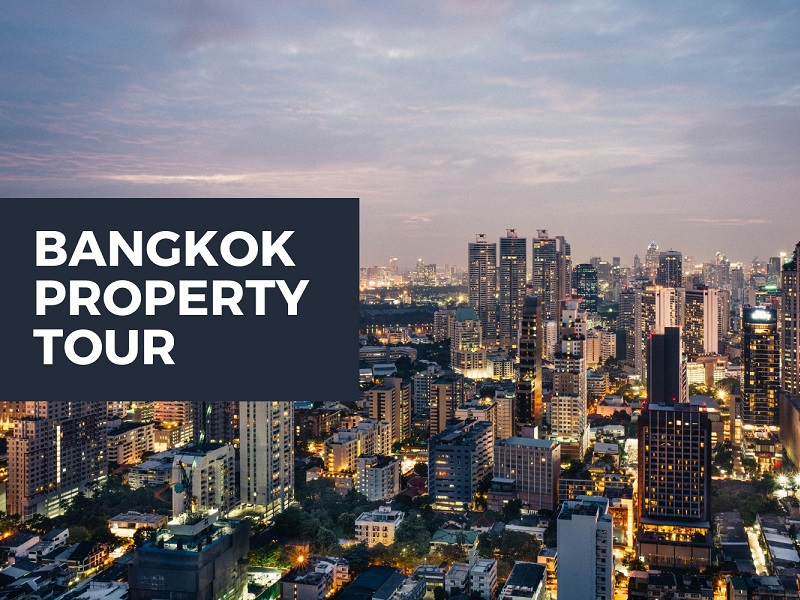 Here is a recap of our last quarterly Bangkok Property Tour which was held in December 2018.